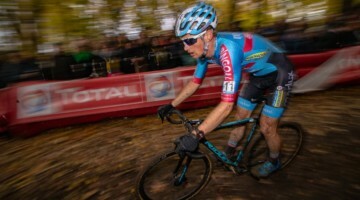 LILLE, BELGIUM – Kevin Pauwels has won the GVA Trofee Krawatencross in Lille. The Telenet-Fidea rider was the fastest in the sprint over world champion Zdenek Stybar (Telenet-Fidea) and Sven Nys (Landbouwkrediet). After the finish, Nys crashed into Pauwels while pulling the brakes to slow down. Belgian champion Niels Albert (BKCP-Powerplus) finished in fourth. Bart Wellens (Telenet-Fidea) rounded out the top five. Jonathan Page (Planet Bike), who became a father of his third child last week, had a solid ride and finished in 14th position. 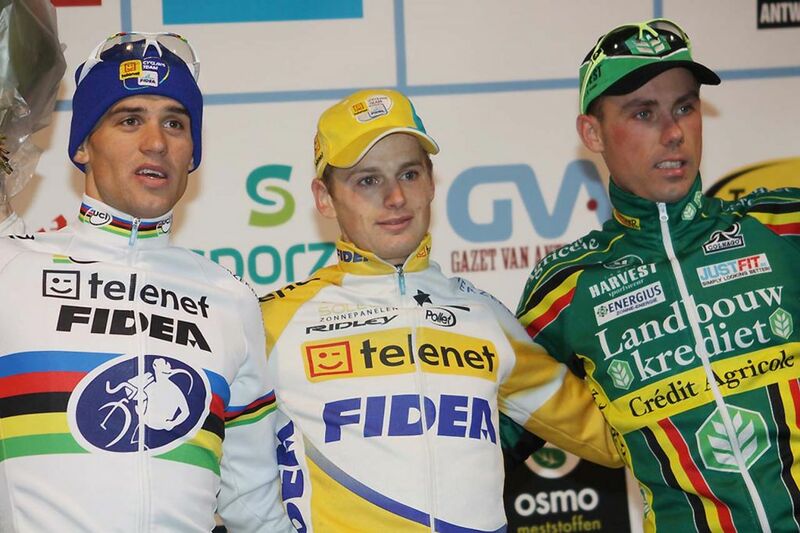 From the start, Sven Nys took control of the race – followed by Stybar, Albert, Pauwels and Wellens. Nys increased the pressure on his rivals several times but was not able to drop the others. Turning into the penultimate lap Albert, Nys, Stybar, Pauwels and Wellens still had a chance to win the race. 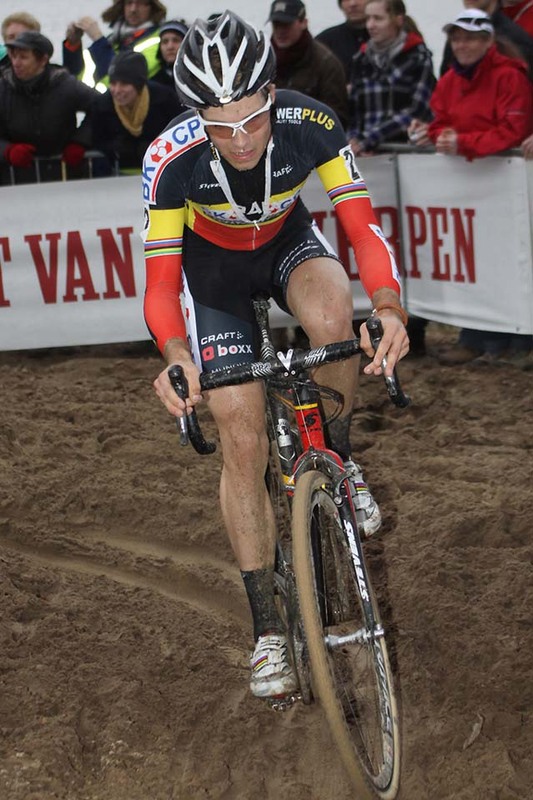 Cyclocross stalwart Wellens attacked with less than two laps to go, but a mechanical problem ruined his chances. The big five turned into the final lap together but, despite several attacks by Stybar, a sprint was unavoidable. 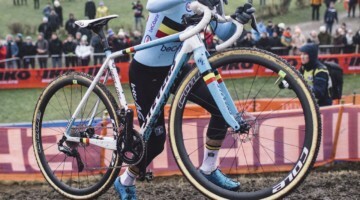 The world champion started the sprint early but clearly didn’t count on his teammate Pauwels’ kick, and the Belgian outsprinted him to the line. Due to the win, Pauwels comes within two points of GvA overall leader Nys, with the final race in Oostmalle in two weeks’ time. 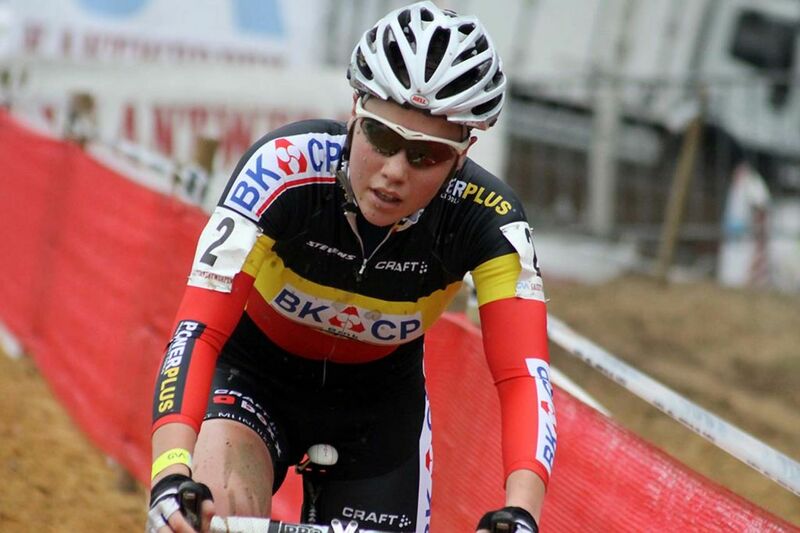 Dreams came true for Sanne Cant (BKCP-Powerplus) in her hometown of Lille. 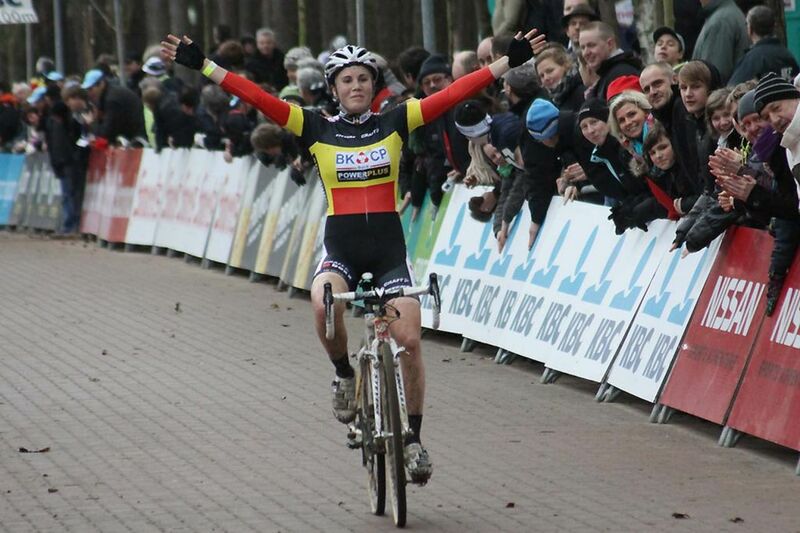 For her home crowd, the Belgian champion took the first international win in her career and the lead in the GvA Trofee. 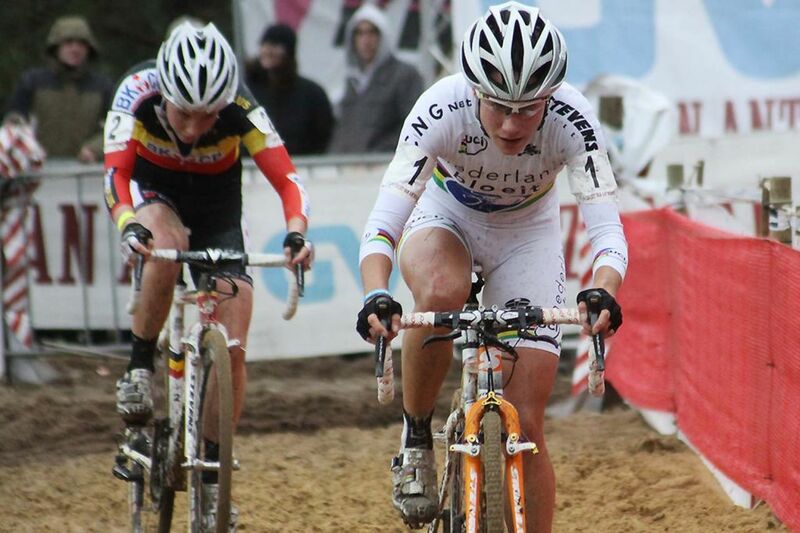 World champion Marianne Vos (Nederland Bloeit) and German champion Hanka Kupfernagel (Stevens) completed the international podium. British champion Helen Wyman (Kona) and Dutch Junior champion Sabrina Stultiens completed the top five. 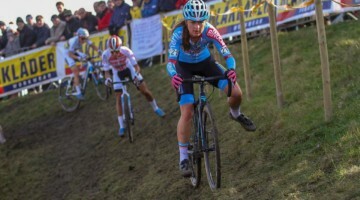 Cyclocross Magazine contributor Christine Vardaros (Baboco), who is still recovering from an injury, was anxious to start in the race and finished in 23rd. From the start, Kupfernagel, Vos and Cant broke clear from the others. Halfway through the race Kupfernagel changed bikes, which didn’t go smoothly, and dropped off the break. 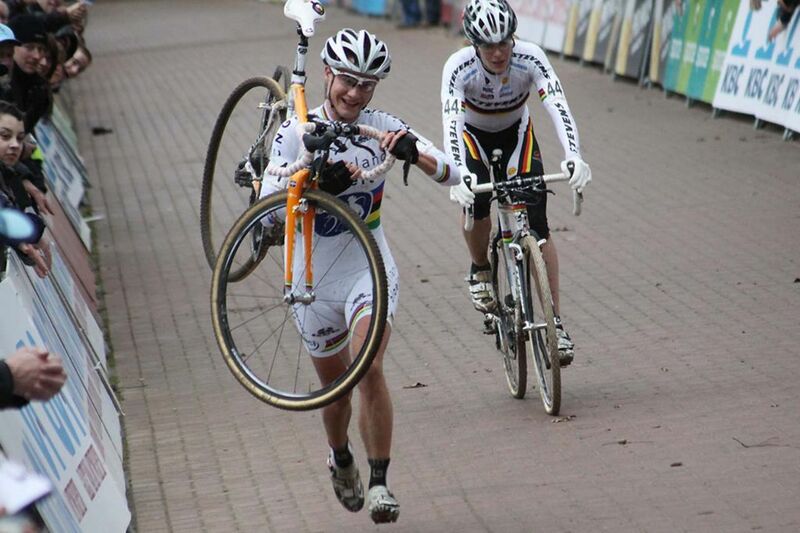 In the penultimate lap the same happened with Vos, but the world champion was able to bridge up to Cant again. In the final lap Cant got rid of Vos after the world champion had to deal with a mechanical problem and was forced to run to the finish to secure the second place. Kupfermagel finished in third just behind Vos. In the GvA standings Sanne Cant is now the new overall leader, followed by Wyman and Daphny van den Brand. The GvA leader before today’s race, Sanne van Paassen, who also claimed the World Cup overall, wasn’t able to start due to breathing problems. Former Belgian champion Jim Aernouts again had the chance to raise his hands this season. In Lille he finished solo after an interesting race. 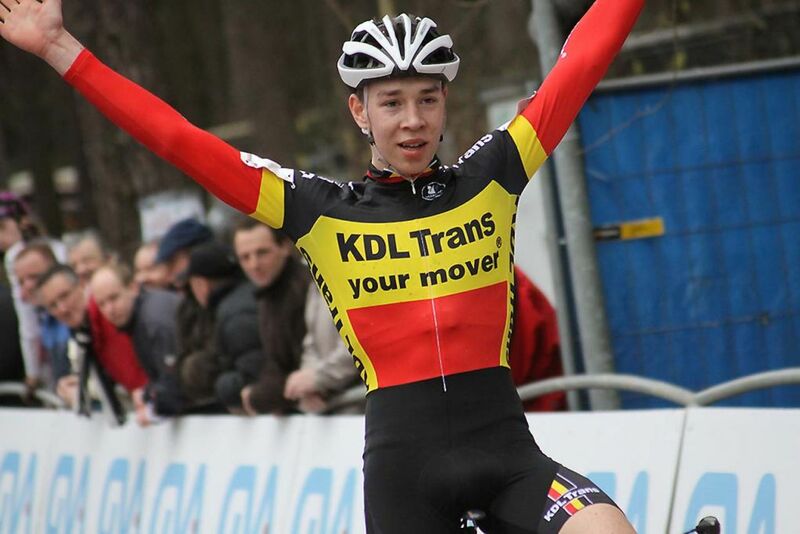 World champion Lars van der Haar won the sprint for second over Micki van Empel and Wietse Bosmans. GvA leader Joeri Adams finished in fifth and lost his overall series lead to teammate van der Haar. From the start, Vincent Baestaens took control of the race. The KDL-Trans rider created a gap of about 10 seconds on a group with van der Haar, Eising, Aernouts, van Empel and Bosmans. Halfway through the race, Baestaens was reeled in by Aernouts, van der Haar and Eising. The latter one dropped off the break due to a flat tire and van der Haar had a botched bike change. Due to that, Baestaens and Aernouts remained in the lead. It looked likely to become an interesting battle between the two Belgians until Baestaens had to deal with a mechanical problem with three laps to go. 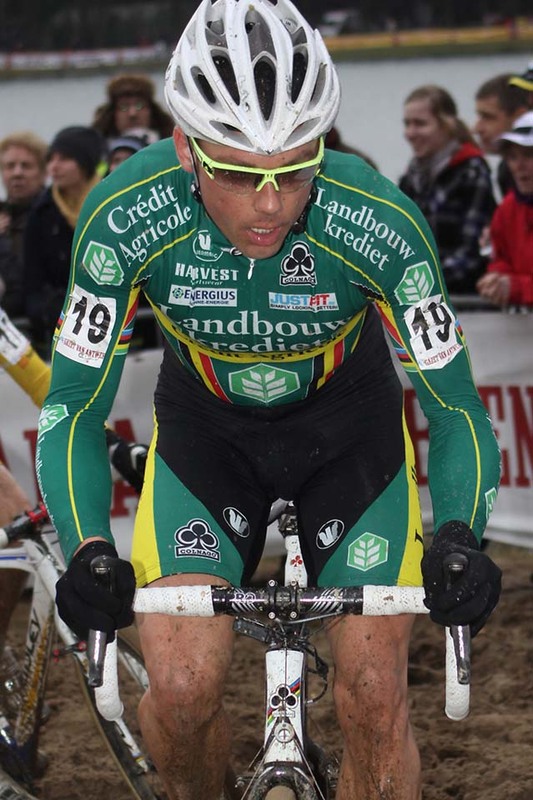 For Aernouts it was his fifth win of the season after Ruddervoorde, Hamme-Zogge, Hasselt and Stabroek.